Just know that whatever the groundhog declares on Sunday, the spring energy has already started to churn under our frosty soil. Deep underground the sap is beginning to rise as internally we begin to feel that inner uprising energy. their New Year (also called the Spring Festival) now. So please feel free to go ahead and celebrate! And Happy New Year! We have a couple events happening THIS weekend so come join us if you can. Today there will be a a free discussion focusing on life beyond addiction with Andrea. Andrea brings a whole-istic, grounded, and personal approach to a topic that affects all of us. On Sunday we have a super fun Groundhog's Day celebration where we will be watching the movie Groundhog's Day while creating beautiful mandalas. (whats a mandala?) Most of us have seen this before so it will a chance to sip tea, share snacks, and laugh. All the details along with our other February happenings, including Sound Healing, Yoga on Point, 10 day Meditation Course, and Group Acupuncture Sessions (starting this coming week!) are below. As many of our students know, our classes have been bursting at the seams. So we have taken your advice and will be limiting our class sizes a bit more. If you are immediatley interested in a class, we encourage you to sign up right away to reserve your spot. Also read about Lance's upcoming Spring Kundalini Immersion Retreat. We know lots of you have been missing Lance's Kundalini Yoga classes. For the time being, Lance will be offering powerful weekend Yoga and Healing intensives a few times per year. These immersions use all the tools that Lance offers and are aimed at providing the proper context for rich experience and powerful transformation. Remember Lance's classes are open to all levels of experience and beginners are encouraged to attend! Okay! Have a wonderful weekend and HAPPY NEW YEAR!!! Lance Isakov, M.Ac., L.Ac., Dipl.Ac. The stress of life can leave us feeling overwhelmed, anxious, and insecure in our bodies and our selves. Past traumas and repressed sensations struggle for expression, as we attempt to transform our past and present realities to free our spirits. Join us for this dynamic group experience where we explore the sensations of relaxation, calm the nervous system, and ease tension in the body and mind using auricular acupuncture (ear needles) and meditation techniques. Acupuncture works best when treatments are frequent and on going since treatments have a cumulative effect. All are welcome and this class is suitable for beginners or experienced practitioners of meditation. with Andrea Tarka, M.Ac., L.Ac., Dipl.Ac. Addiction can be seen through many lenses and described in many ways, but I view addiction as a means to evaluate and interpret life from a very specific perspective. We tend to get caught up in our disease or our recovery, without recognizing our connection to the whole. This discussion focuses on our life beyond addiction and how to discover who we are in the context of our journey, rather than live as victims of our experiences. Although this talk is geared for those in recovery or active addiction, all are welcome, including family members and friends of those struggling with these same issues. Come hangout for a casual afternoon viewing of Groundhog's Day with Bill Murray! We will have mandala coloring books, colored pencils, paper and other art supplies to enjoy ourselves while inviting in contemplations of the bigger life picture. Through a series of gentle heart opening yoga postures and a guided Metta (loving-kindness) meditation, we will relax into our higher selves and deepen our ability to share love with ourselves and others. Cost: $40 or $30 (each) with a friend. Do you want the benefits of meditation but don't have the time, patience, know-how or just can't sit still? This 10 day virtual course is a completely guided adventure into the wonderful world of meditation. Each morning you will receive an informative email with daily tips along with audio guidance for that day's meditation. We will start together meditating for 3 minutes and each new day add 3 more. By the end of the course you will be meditating for 30 minutes and begin to create a habit that will totally enhance the quality of your life. This course is simple, effective, and efficient. Even though it is virtual we will be doing this together with a group of like minded individuals. We will stay in touch via our facebook group, where we can ask each other questions and get the support we need. 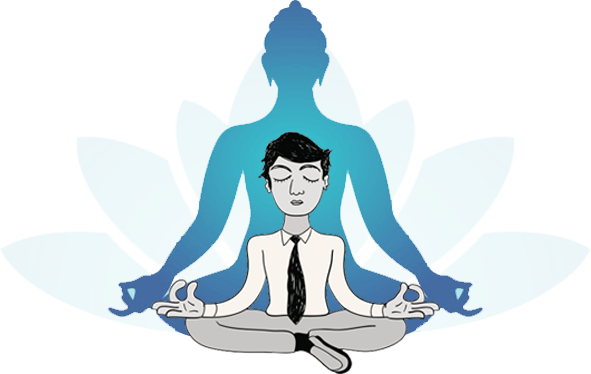 learn about meditation and its effects. receive step by step audio meditation guidance. experience the benefits of meditation. connect with other like minded individuals. Quickly and easily slipped into a daily meditation practice that will totally enhance you life. received 10 guided meditations, of varied lengths, that you can continue to use at your leisure. Cost? $40 or $30 (each) with a friend. Are you ready for a breakthrough? There is an immeasurable, powerful creative force that propels the universe into being. This weekend immersion is dedicated to connecting to this life force as fully as possible. We will explore the concept of breakthrough and use powerful tools, including Kundalini Yoga, Meditation, Five Element Acupuncture, and Sound Healing, to foster and inspire new possibilities of growth within us. You will leave this weekend with a clear outlook charged with potential energy, a connection with your intentions and a plan in hand. This immersion is open to all levels of experience and Beginners are encouraged to attend! Cost: $220 or $195 (each) with a friend. Registration: Space is limited to 10 people. For more info or to register please email us. those of us who can't sit still! Copyright © 2014 Wayne Family Wellness, All rights reserved.